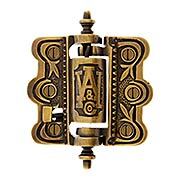 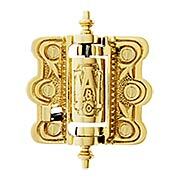 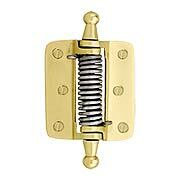 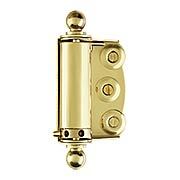 Add a Victorian touch to your screen door with our decorative screen door spring hinges. 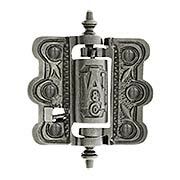 Available in solid brass and cast iron, these sturdy screen door hinges will enhance your home's period charm while ensuring your screen door operates smoothly and reliably. 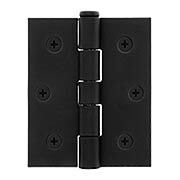 Our half-surface screen door hinge is a classic choice for early 20th century homes, or for doors framed by a molded casing. 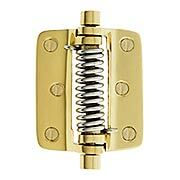 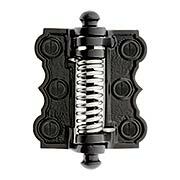 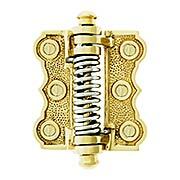 Made of top-quality forged brass, it offers adjustable spring tension and 7 traditional finishes!